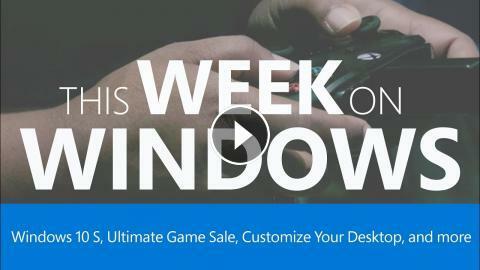 This Week on Windows we show off the Surface Laptop with Windows 10 S, get in on the Fate of the Furious, and showcase the biggest game titles in the Ultimate Game Sale. This Week On Windows: Amazon Music, Surface Pro turns 5 and Final Fantasy XV Windows Edition! This Week on Windows: Forza Horizon 3: Hot Wheels Expansion, Game Mode, and More! This Week On Windows: Xbox Game Pass, Microsoft Store events & a Free Forza car! This Week on Windows: Netflix Offline Experience, Spring Sale Preview & Taskbar! This Week On Windows: Surface Studio, Surface Dial, and Windows 10 Creators Update ANNOUNCEMENTS!